It's hard not to find love in this Mirrored Love threadless end design from Quetzalli! It's beautifully crafted from solid 14K gold with genuine gemstones. 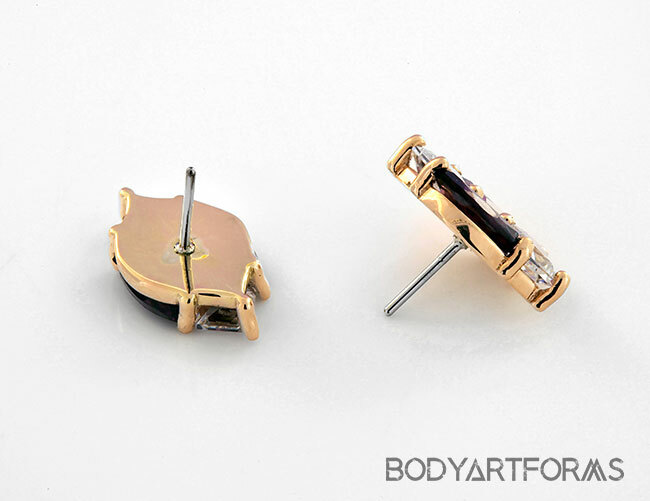 The Mirrored Love threadless end is available in solid 14K rose gold, and white gold with a stainless steel threadless post. The Mirrored Love end design measures approximately 9.7mm tall by 6mm wide. 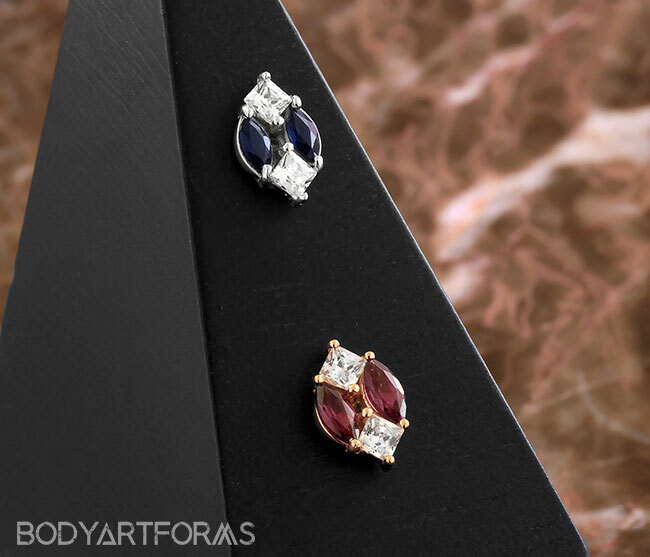 The CZ inlays measure 3mm tall by 3mm wide, and the genuine gemstone inlays measure 5mm tall by 2.5mm wide.